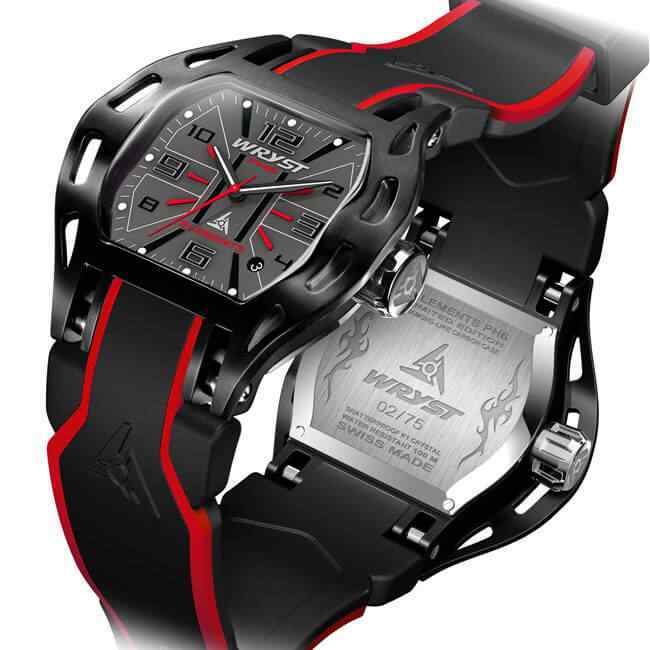 Black watch Wryst Elements PH6 Swiss made in limited edition of 75 pieces for sports with exclusive style. 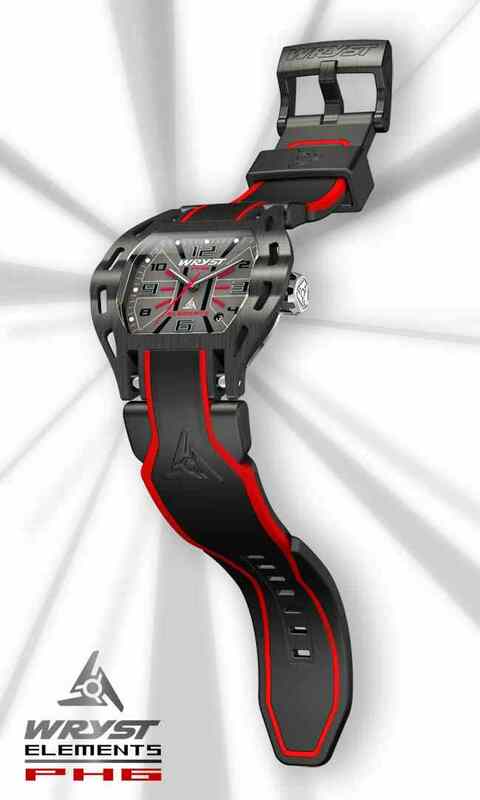 In black, slate grey and with intelligent red details, the Swiss black watch PH6 is dedicated to professional sports and athletes. 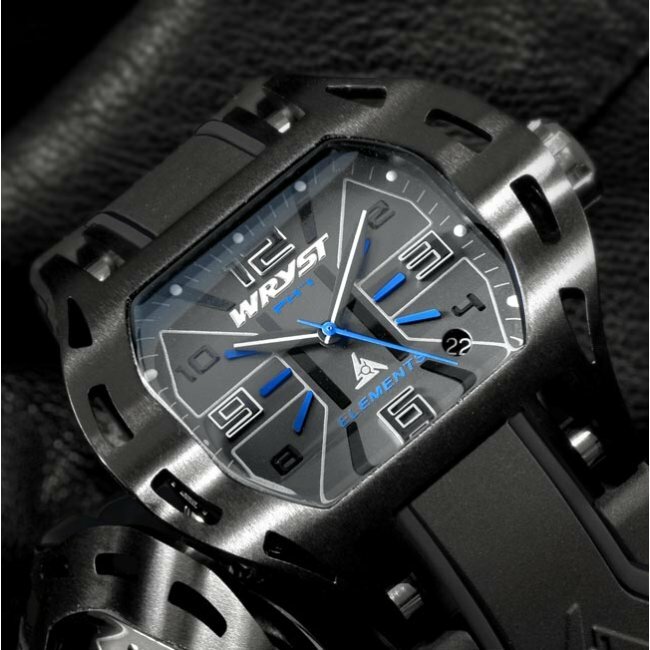 The unique aggressive design of the atypical Wryst Elements collection is brutal and totally unusual. Built with the latest disruptive hard materials, the brand offers unprecedented value for money. Two straps included! The black watch for sports Elements PH6 in black and red has a fascinating timeless design that will grow with you days after days. Wake up every morning knowing your watch will not let you down for a tough usage and rough environment. If you are daring the natural elements of this world, so will your limited edition black Swiss watch PH6. 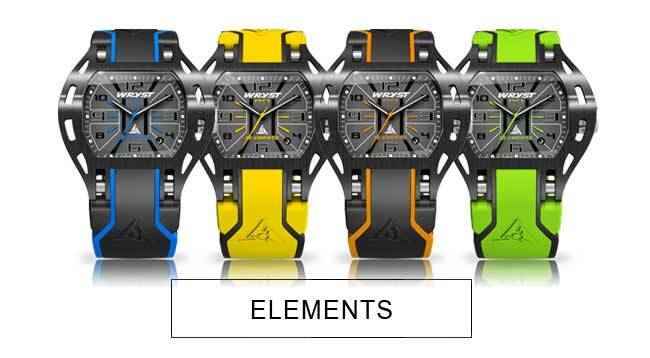 The black DLC coating, K1 mineral crystal, and 10ATM will provide scratch-free, shatterproof and water resistance like never before. 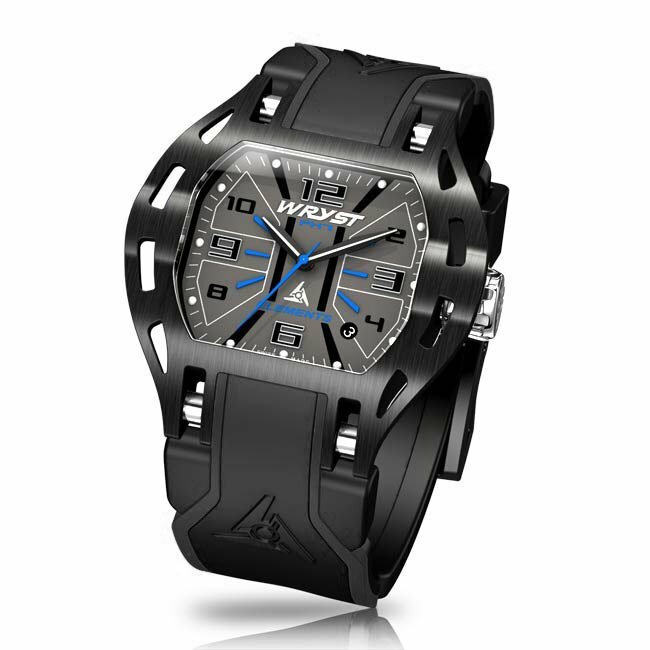 If you are wondering whether you should purchase this watch, be aware 45% of our customers have purchased more than one Wryst Swiss black watch. Contact us at any time to find out if your favorite serial number between #00 and #75 is still available. 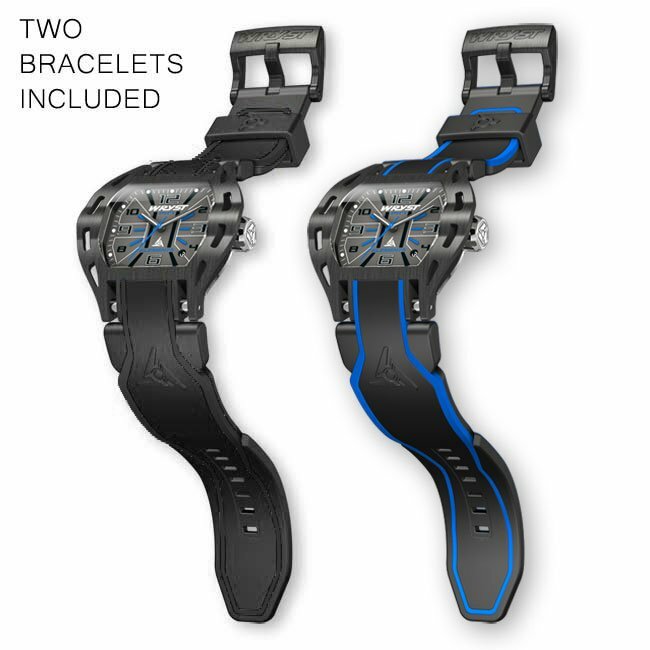 Each and every Wryst Elements black watch include two different bracelets. 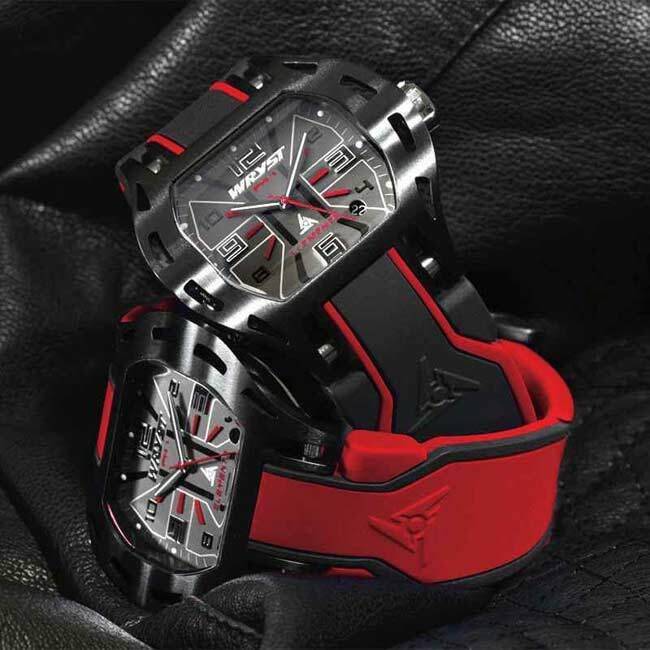 Choose to wear your exclusive Wryst PH6 either with a black/red bracelet, or the other red/black bracelet also included for a more individualist look. 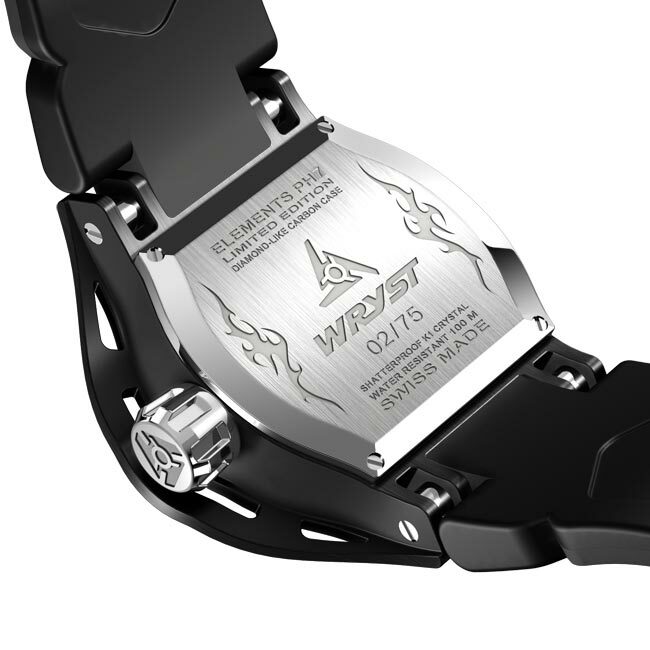 Each watch is engraved with a unique serial number on the case back so there is never two identical watches in existence.